It’s been several years since LucasArts first asked its fan base, “Would you be interested in playing as a Star Wars villain?” Apparently, this idea was met with some enthusiasm, and the result was The Force Unleashed for console gaming systems. TFU makes its PC debut with the Ultimate Sith Edition with its flashy new packaging and additional game content. Unfortunately, this updated release is just a few banthas short of a herd. To its credit, The Force Unleashed does a lot of things extremely well. You don’t need to be a Star Wars junkie to appreciate the story, which is lavishly presented in high-quality cinematic sequences. The characters are brought to life not only with terrific voice acting, but facial motion capture that impressively conveys the fluidity of human emotion. 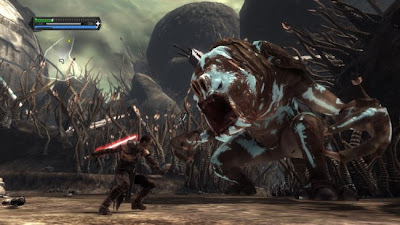 For those unfamiliar, The Force Unleashed follows the adventures of Darth Vader’s secret apprentice, who is exceptionally talented and trained as an instrument of the dark side. This makes the apprentice a true “wrecking ball” of the Force, indiscriminately blasting through rebel soldiers and stormtroopers alike. Although dazzling as always, the lightsaber is not really the focal point of the combat. Most of the fun lies within the clever integration of Force powers. TFU is an action game at its core, and the available moves for the apprentice certainly reflect this. Hurling objects at your foes, electrocuting them with lightning, or simply blasting them into oblivion offers players the chance to channel quite a bit of aggression into the game. As you become increasingly skilled, you’ll be able to string powers together for devastating results; lifting a stormtrooper into the air, then impaling him with the lightsaber, might be one of the coolest things seen in any Star Wars video-game. It’s not until reaching the heavier battles that players may notice the flaws in this alluring gem. The physics engine for TFU, while visually impressive, does not always function reliably or realistically. More importantly, the combat is flawed in a few areas that will cause significant frustration. In the thick of combat, the apprentice can literally get stuck in a loop of collapse as unavoidable attacks from enemies strike him repeatedly. The PC controls feel strangely stiff when compared to the console version, which means the apprentice will not always do what you want, as quickly as you’d want him to do it. The boss fights remain something of a mixed bag. Many of them feel like cheap efforts to exploit flaws in the combatant’s fighting style, while a few are genuinely engrossing. This release also contains a few missions from TFU’s “alternate universe” of Star Wars fiction, which I will not spoil here. Aside from the exclusive new Hoth level, most of the “bonus” content in this Ultimate Sith Edition was actually released as downloadable content on the consoles. The player skins are basically what they seem – meaningless cosmetic costumes that have no effect on the gameplay whatsoever. Even diehard Star Wars fans may struggle to rationalize the purchase of the Ultimate Sith Edition if they’ve played the original. It is disappointing to see that so many of TFU’s flaws have been retained or even amplified, rather than repaired. 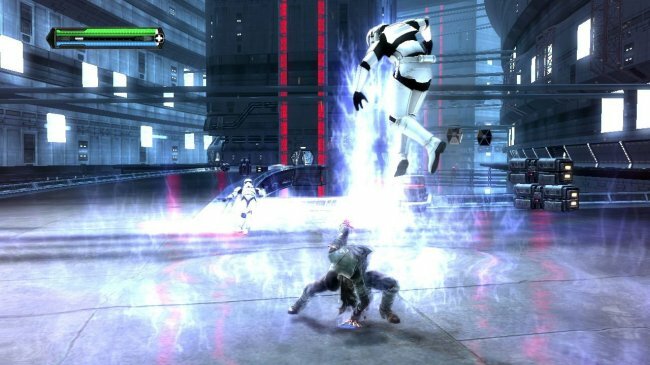 The Force Unleashed remains solid on the graphical front, with plentiful effects and detailed textures to aid the immersion of the experience. Sadly, players may find themselves pushing through the unpleasant sections of the campaign just to find out what happens next in the story. Without getting the gameplay right, The Force Unleashed flounders in its efforts to keep up with its own epic narrative. The Ultimate Sith Edition will provide entertainment for Star Wars fans, but action lovers may find their excitement short-lived.